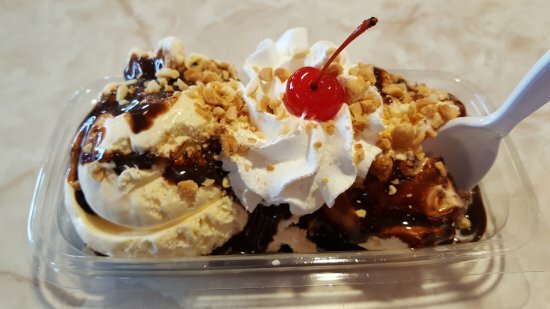 Cakes-n-Creams is one of the finest restaurants in Branson that offers a truly satisfying dining experience when you are craving for some sweet treats. This restaurant in Branson have been in business for 37 years offering food enthusiasts some of the most delicious desserts in town. When you enter the restaurant, it’s as if you step back in time when you see 50’s themes, simple things, bright and cheerful with a lot of fun. The success of Cakes-n-Creams has become possible by following the three important restaurant goals in serving food such as their fun and diversified menu, great customer service and a unique dining atmosphere. This combination assures every customer to bring a good image of the restaurant. The first goal of the restaurant is to focus fun and diversified menu on their burgers and fries, especially to those who don’t love a great burger and the best French fries that they haven’t tasted yet. Cakes-n-Creams was created around the desserts. These desserts are not only delicious, but it offers a work of art. The funnel cake is the restaurant’s signature dessert. No other establishment produces this product as a first class, beautiful dessert like they do. The dessert is topped with luscious ice cream or piled high with whipped topping and succulent fruit, and it sells itself. The cream pies are made with the finest ingredients and topped with a three inch meringue that even receives positive comments from non-pie eaters. Their pizza is not only quick to serve, but is fresh and delicious. For those healthy eaters and for anyone that loves great sub’s built the way they want, they introduced CnC sub Sandwiches. The food at Cakes-n-Cream is presented in an appetizing and appealing manner that sells itself. The reason why Cakes-n-Creams achieved a success in their chosen business, is because their staff always think of what the customer needs. Customer service is the most important marketing tool of every business. The first impressions always make a difference. A customer will always notice if the business is clean and well kept. Customers will also notice the cleanliness of the staff and finally, the quality of service they receive. Good image and friendly service of the staff are the main ingredients to the success of the restaurant. Cakes-n-Creams combines the warm and friendly service with a unique atmosphere so that the customers enjoy its delicious food. The restaurant features a new “spin” on the 50’s theme with authentic Wurlitzer jukeboxes, 45 records and lots of shiny brass & chrome and eye-catching red. Young and old alike find the décor fun and appealing. They make the customers feel like travelling back in time. The restaurant is committed to serve a quality product with excellent service. Customer satisfaction is the #1 goal of the restaurant. Cakes-n-Creams ensures that each customer that visits this restaurant in Branson will have a positive experience. Whether it’s about efficiency of service, dining atmosphere or quality of food, making the customer satisfied is their long time commitment.